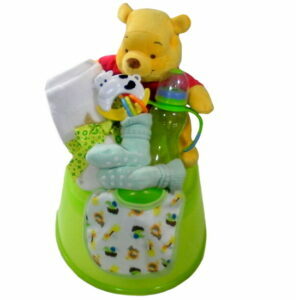 Dumbo gift basket will be delivered to the door steps of the new baby girl. Dumbo with his big pink ears is sitting in a wicker storage basket with baby shoes and rattle. Baby basket pink. 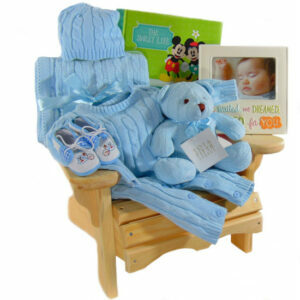 Dumbo gift baby girl basket. Will be delivered to the door steps of the newborn girl. Elephant with his big pink ears is sitting in a metal storage container with shoes and rattle. Baby basket pink. 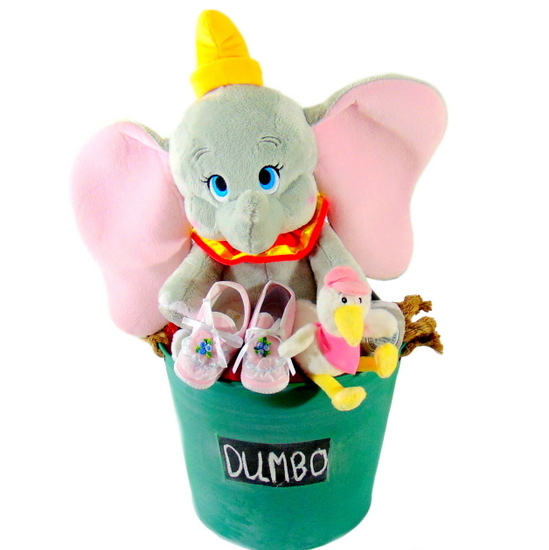 Dumbo gift contains: Green metal bucket with chalkboard and two rope handles. Disney 15 inch plush toy. Blue flowers and white lace stitched on pink baby shoes and Baby Ganz stork stuffed animal rattle.